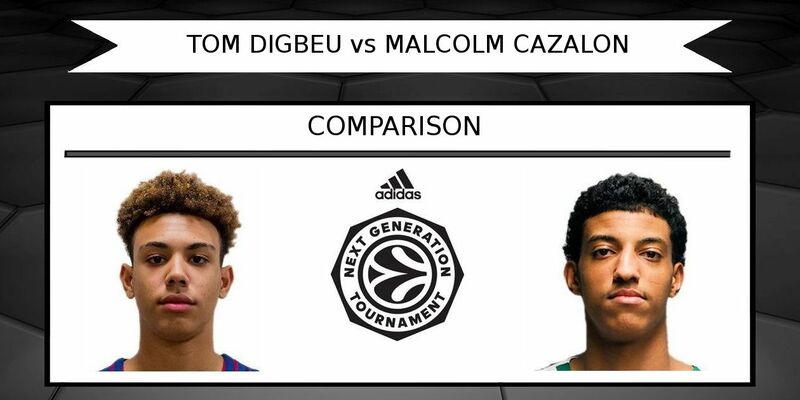 Who is better prospect: Malcolm Cazalon or Tom Digbeu? France is third the most represented country in NBA and first from Europe with current total record of 10 players. 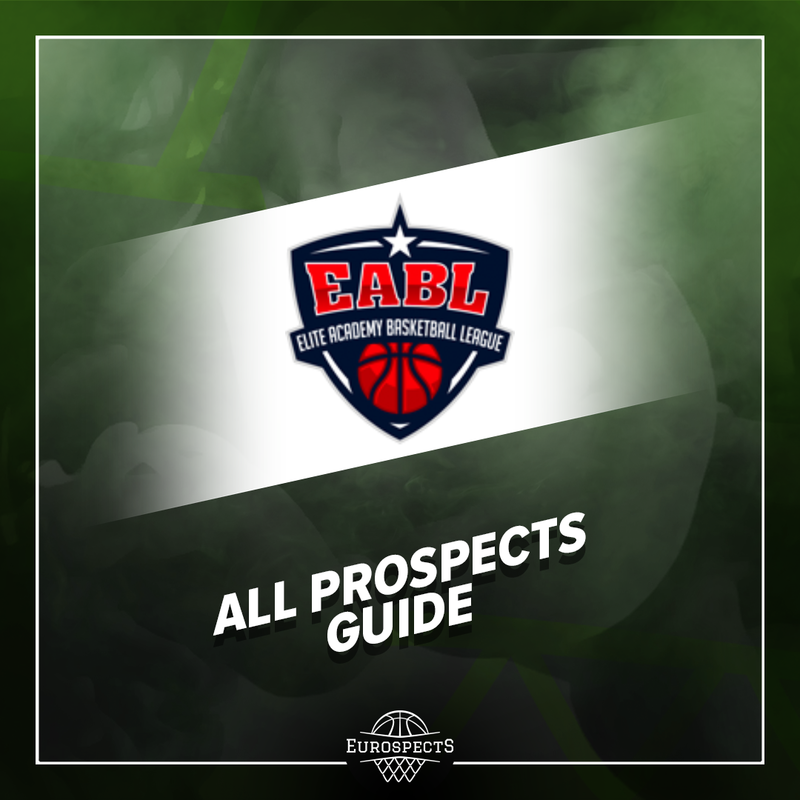 There is even more prospects from this nation on their way to the best basketball league in the world. Suffice it to mention Sekou Doumbouya or Killian Hayes. However some other talents can get into Draft consideration as well. 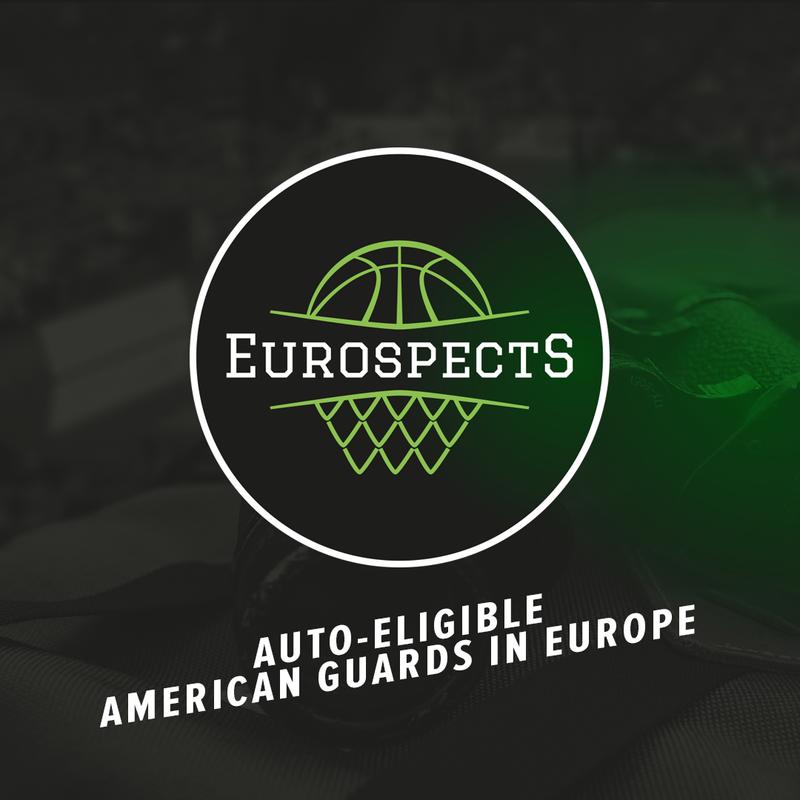 Respectively 1999 – Olivier Sarr, Yves Pons & Jaylen Hoard, 2000 – Joel Ayayi and finally main subjects of this article 2001 born Malcolm Cazalon & Tom Digbeu. 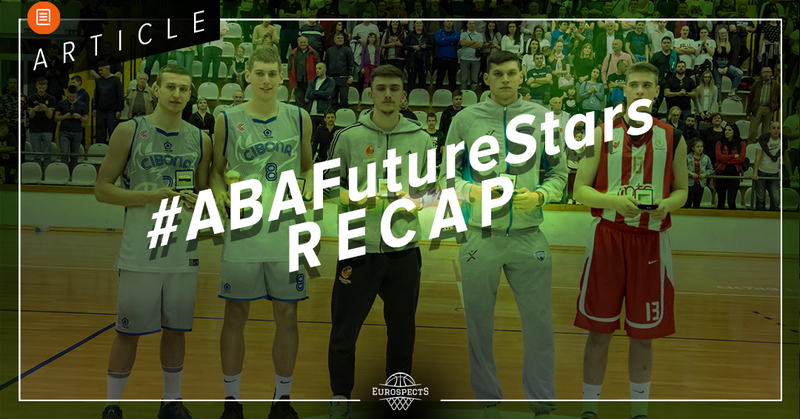 Either of them is one of the most gifted players from their age group and missed FIBA U16 European Championship as son of Alain Digbeu remains in the split between Spain and France and ASVEL’s prodigy was injured. 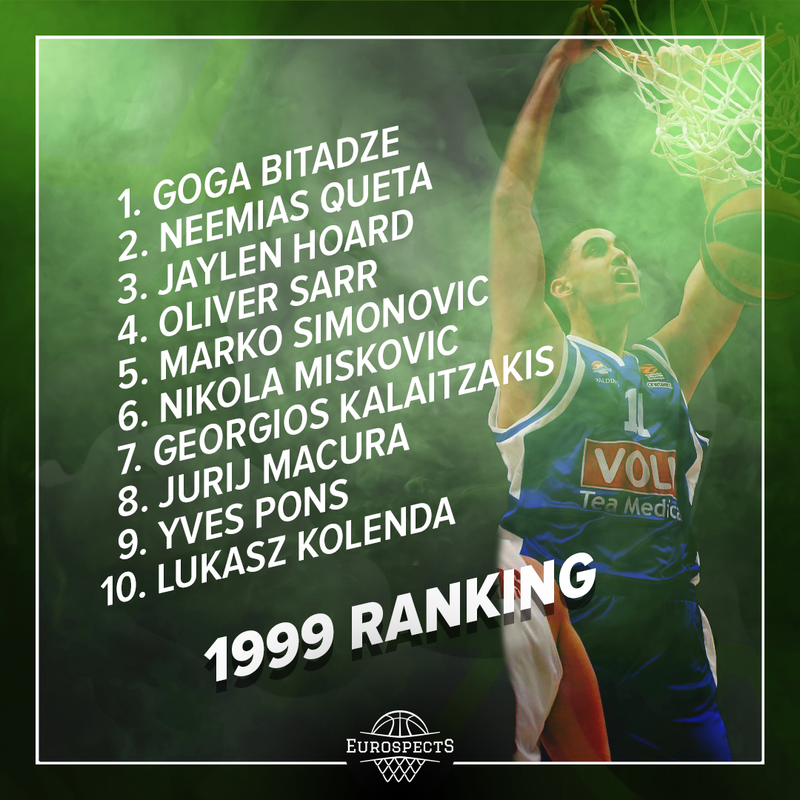 Because of this their places in our 2001 class ranking may not have been fully accurate. That’s why opportunity to watch them both at L’Hospitalet Adidas Next Generation Tournament has been perfect to compare their potential and evaluate in depth against high level competition. Both finished the event on the podium but definitely it has been more prosperous showing for Cazalon. First let’s take a look at production. Obviously it is always a little tricky considering the roles on the team and who were they surrounded with. Tom just like everyone else was in Luka Samanic’s shadow and Malcolm basically teamed up with Theo Maledon for two man army but even percentages alone can say something interesting. Also Cazalon suffered leg injury in 3rd place game which reduced his statistical impact and playing time. However direct match up between their teams was quite close and just one place separated them in final standings so we can state that there is no huge level difference which could affect the whole picture. Surprising lead in assists by Digbeu cannot be described by playing next to less leading guard as Samanic was alpha and omega of Barca offense anyway. Croatia mega prospect was attacking from every spot on the court and most of the possessions went through him. However sample is still small and I believe some of the dishes were made in transition which Digbeu is at his best in, given more space to operate and reduced possibility to trap him. Only other category he was better at which is not shown on the chart, was 2pt FG%. However it’s just minimal advantage and his 0/10 3pt record makes it impossible to consider Tom being more efficient shooter. Physical profiles they possess are definitely highly demanded type of bodies and tools. Digbeu is extremely well proportioned. He is more lanky and displays less strength than Cazalon at the moment but it seems quite clear that he will fill out nicely over the years. Both of them are elite athletes for European standards in their age group and still VERY good for USA requirements. Especially Tom who I would give small advantage in this category. Cazalon pretty much already achieved the height which allows him to play on his position on high professional level. If he grows and adds more strength to his solid base he could even play fake small ball 4 position for short stretches like he did in L’Hospitalet at times as he survives physically and is tremendous rebounder. With Tom being baby faced we can also suppose that he has at least 1-2 inches left. Shooting is a must improve for Digbeu. His release point is low and mechanics can get a little sloppy at times. He is much more of a slasher and if he doesn’t grow basically he will become 6’4-6’5 SF. Even given his length it’s still more reasonable to picture him in Pro A than NBA if he stays the same in both regards. Cazalon is much better of a shooter especially if creating his own looks is concerned. He gets it off also not overly quick but he hit some promising pull ups and even multiple times got separation from defender using his handles. Mechanics is also not 100% pure but it’s easy choice to go with him as more reliable option also in also spot up situations. As far as driving to the rim both have good body control and are extremely left hand heavy as finishers. Cazalon goes almost exclusively to his stronger side. Digbeu seems to be more flexxible but also looks for his primary hand badly while taking the runner or lay up. None of them offers pace shifting which is often the case with tremendous athletes who has never had to change gear to blow any defender by from their age group. With their explosiveness it may work even on the highest level but it’s always extra value if you can diversify your speed. Digbeu biggest problem is terrible tunnel vision that he gets. He is so easy to predict that his ridiculous bounciness and mind blowing motor are hardly any advantage anymore. Also while I would risk to describe him as adequate standstill passer it gets much worse on the move which his competitor is capable of doing in acceptable degree. Still assist numbers suggest big room for improvement in Tom’s case. While backcourt duo on French team was undoubtedly way above anyone else skillwise, at the same time Malcom and Theo Maledon were also vocal leaders of ASVEL. Cazalon seems very coachable great communicator. Many times he was instructing the teammates, taking care of chemistry and played with tremendous maturity & desire to win. Digbeu’s energy and passion can look unmatched but if things don’t go right it definitely affects his performance in next plays. In plus he did great job defensively especially on Maledon by sitting in a proper stance, staying in front and contesting his shots which no one else was able to do during the tournament. 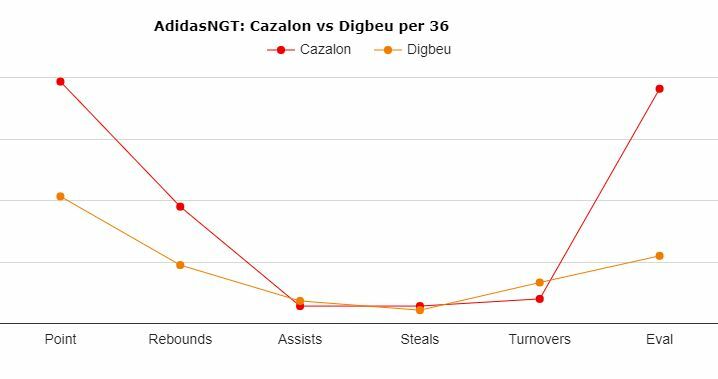 Cazalon also seems above average defender but given his much bigger offensive usage it’s hard to make a statement that he can guard equally intensive. Also he often matched up with bigger not very quick players. As for now it’s not even up for debate and Cazalon is better player. While tools are pretty much comparable, IQ and intangibles put Malcolm on different level but what about long term perspective? Tom really seems to has long ways to go especially in mental aspects. Basketball wise it’s less worrying considering that even though he is son of former star he was unestablished prospect playing on small team not that long ago. 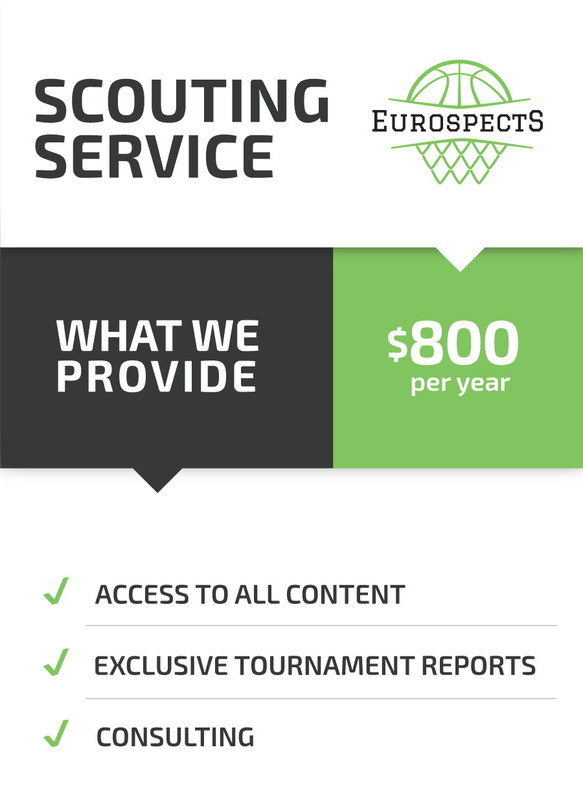 If he grows to let’s say 6’7 and refines his imperfection in shooting, understanding of the game and mindset, then prospects with his positional length, defensive potential & athletic abilities just make it to the NBA. To sum up in my opinion it’s really close case. Digbeu’s upside may be slightly higher but choosing Malcolm is decidedly safer option at the moment.